These Terms are effective until terminated by WeBeBopInc.com. WeBeBopInc.com may terminate these Terms without notice and at any time. In the event of termination, you are no longer authorized to access WeBeBopInc.com and the restrictions imposed on you with respect to the Content, and the disclaimers, indemnities, and limitations of liabilities set forth in these Terms shall survive termination. WeBeBopInc.com shall also have the right without notice and at any time to terminate WeBeBopInc.com or any portion thereof, or any products or services offered through WeBeBopInc.com, or to terminate any individual's right to access or use WeBeBopInc.com or any portion thereof.. The text, images, photographs, graphics, logos, illustrations, descriptions, data, and other material provided on WeBeBopInc.com, as well as the selection, assembly and arrangement thereof, are referred to collectively as the "Content." The Content may contain errors, omissions, or typographical errors or may be out of date. WeBeBopInc.com may change, delete, or update any Content at any time and without prior notice. The Content is provided for informational purposes only and is not binding on WeBeBopInc.com in any way except to the extent it is specifically indicated to be so. Unless otherwise noted, all Content is protected by copyrights, trademarks, service marks, and other proprietary rights that are owned by WeBeBopInc.com or by third parties that have licensed their use to WeBeBopInc.com. You may view and use the Content only for your personal information and for shopping and ordering on WeBeBopInc.com, and for no other purpose, and you shall retain intact all copyright and other proprietary notices. Except as provided in the foregoing, WeBeBopInc.com does not grant to you or any person any right to use, reproduce, copy, modify, transmit, display, publish, sell, license, create derivative works, publicly perform, or distribute by any means, method, or process whatsoever, now known or hereafter developed, any of the Content on or transmitted through the WeBeBopInc.com, including without limitation by transferring, downloading or otherwise copying any Content onto any disk drive or other storage medium. Any use of the Content, except as specifically permitted in these Terms or as otherwise expressly permitted in the Content or in writing signed by WeBeBopInc.com, is strictly prohibited. All prices displayed on WeBeBopInc.com are quoted in U.S. dollars. WeBeBopInc.com may restrict delivery to addresses within the United States. WeBeBopInc.com will add shipping and handling fees and applicable sales/use tax. WeBeBopInc.com reserves the right without prior notice to discontinue or change specifications and prices on products and services offered on WeBeBopInc.com without incurring any obligation to you. Products displayed on this site are available while supplies last. Descriptions of, or references to, products or services on WeBeBopInc.com do not imply endorsement of that product or service, or constitute a warranty by WBBImportLLC. The receipt by you of an order confirmation does not constitute WeBeBopInc.com acceptance of an order. 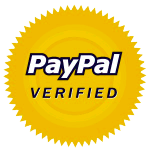 Prior to WeBeBopInc.com acceptance of an order, verification of information may be required. WeBeBopInc.com reserves the right at any time after receipt of your order to accept or decline your order, or any portion thereof, even after your receipt of an order confirmation from WeBeBopInc.com, for any reason. WeBeBopInc.com reserves the right to limit the order quantity on any item and to refuse service to any customer without prior notification. In the event that a product or service is listed at an incorrect price due to supplier pricing information or typographical error, WeBeBopInc.com shall have the right to refuse or cancel orders placed for the product listed at the incorrect price, regardless of whether the order has been confirmed and your credit card charged. If your credit card has already been charged for the purchase and your order is canceled, WeBeBopInc.com shall promptly issue a credit to your credit card account in the amount of the incorrect price. 8. Disclaimer and Limitation of Liability as to this Site and Content. WeBeBopInc.com MAKES NO WARRANTIES OR REPRESENTATIONS WHATSOEVER WITH RESPECT TO THE WeBeBopInc.COM SITE OR ANY LINKED SITE OR ITS CONTENT, INCLUDING THE AVAILABILITY OF ANY SITE OR THE CONTENT, INFORMATION AND MATERIALS ON IT OR THE ACCURACY, COMPLETENESS, OR TIMELINESS OF THAT CONTENT, INFORMATION AND MATERIALS. WeBeBopInc.COM ALSO DOES NOT WARRANT OR REPRESENT THAT YOUR ACCESS TO OR USE OF WeBeBopInc.COM OR ANY LINKED SITE WILL BE UNINTERRUPTED OR FREE OF ERRORS OR OMISSIONS, THAT DEFECTS WILL BE CORRECTED, OR THAT WeBeBopInc.COM OR ANY LINKED SITE IS FREE OF COMPUTER VIRUSES OR OTHER HARMFUL COMPONENTS. WITHOUT LIMITING THE FOREGOING, ALL CONTENT PROVIDED ON THIS SITE IS PROVIDED TO USERS "AS IS," WITH NO WARRANTY OF ANY KIND, EITHER EXPRESS OR IMPLIED, INCLUDING BUT NOT LIMITED TO IMPLIED WARRANTIES OF MERCHANTABILITY AND FITNESS FOR A PARTICULAR PURPOSE, TITLE, NON-INFRINGEMENT, SECURITY OR ACCURACY. THE "AS IS" CONDITION OF CONTENT IS EXPRESSLY MADE A CONDITION OF ANY TRANSACTION ARISING THROUGH OR AS A RESULT OF WeBeBopInc.com. Please note that some jurisdictions may not allow the exclusion of implied warranties, so some of the above exclusions may not apply to you. Check your local laws for any restrictions or limitations regarding the exclusion of implied warranties. UNDER NO CIRCUMSTANCES SHALL WeBeBopInc.com, ITS SUPPLIERS OR THEIR RESPECTIVE DIRECTORS, OFFICERS, EMPLOYEES OR AGENTS BE LIABLE TO YOU OR TO ANY THIRD PARTY FOR ANY DIRECT, INDIRECT, CONSEQUENTIAL, INCIDENTAL, SPECIAL, OR PUNITIVE DAMAGES, WHETHER IN CONTRACT OR IN TORT, INCLUDING NEGLIGENCE, ARISING IN ANY WAY OUT OF ACCESS TO OR USE OF OR INABILITY TO ACCESS OR USE WeBeBopInc.COM OR ANY LINKED SITE OR ITS CONTENTS, INCLUDING BUT NOT LIMITED TO LOST PROFITS, BUSINESS INTERRUPTION, OR LOSS OF PROGRAMS OR OTHER DATA ON COMPUTER SYSTEMS OR OTHERWISE, EVEN IF WeBeBopInc.COM IS EXPRESSLY ADVISED OF THE POSSIBILITY OF SUCH DAMAGES..
ALL PRODUCTS AND SERVICES SOLD BY WeBeBopInc.com ARE SUBJECT TO ANY APPLICABLE WARRANTIES AND REPRESENTATIONS OF THEIR RESPECTIVE MANUFACTURERS, INCLUDING BUT NOT LIMITED TO YEAR 2011 COMPLIANCE. ACCORDINGLY, WeBeBopInc.com MAKES NO REPRESENTATION OR WARRANTY WITH RESPECT TO ANY PRODUCT OR SERVICE SOLD. EXCEPT AS EXPRESSLY STATED HEREIN, WeBeBopInc.com EXPRESSLY DISCLAIMS ALL WARRANTIES, EXPRESS OR IMPLIED, OF ANY KIND WITH RESPECT TO PRODUCTS AND SERVICES SOLD ON WeBeBopInc.com, INCLUDING BUT NOT LIMITED TO IMPLIED WARRANTIES OF MERCHANTABILITY AND FITNESS FOR A PARTICULAR PURPOSE. Please note that some jurisdictions may not allow the exclusion of implied warranties, so some of the above exclusions may not apply to you. Check your local laws for any restrictions or limitations regarding the exclusion of implied warranties.. UNDER NO CIRCUMSTANCES SHALL WeBeBopInc.com, ITS SUPPLIERS OR THEIR RESPECTIVE DIRECTORS, OFFICERS, EMPLOYEES OR AGENTS BE LIABLE TO YOU OR TO ANY THIRD PARTY FOR ANY INDIRECT, CONSEQUENTIAL, INCIDENTAL, SPECIAL, OR PUNITIVE DAMAGES, INCLUDING BUT NOT LIMITED TO LOST PROFITS AND BUSINESS INTERRUPTION, WHETHER IN CONTRACT OR IN TORT, INCLUDING NEGLIGENCE, ARISING IN ANY WAY FROM ANY PRODUCT OR SERVICE SOLD OR PROVIDED ON WeBeBopInc.com, EVEN IF WeBeBopInc.com IS EXPRESSLY ADVISED OF THE POSSIBILITY OF SUCH DAMAGES. IN NO EVENT SHALL WeBeBopInc.com LIABILITY EXCEED THE PRICE YOU PAID FOR THE PRODUCT OR SERVICE THAT IS THE SUBJECT OF THE CLAIM..